Eccentric former NBA player Dennis Rodman is apparently a person of interest in a car crash in California, reports the New York Daily News. Police confirm that the driver of a black BMW told California Highway Patrol officers that when he was in a vehicular collision last week, the other driver left the scene after the crash and that he recognized Rodman as that person. The driver of the BMW was not seriously injured but did say that he was in pain after the incident. “Based on the driver’s statement, we have to investigate,” said CHP Officer Florentino Olivera. 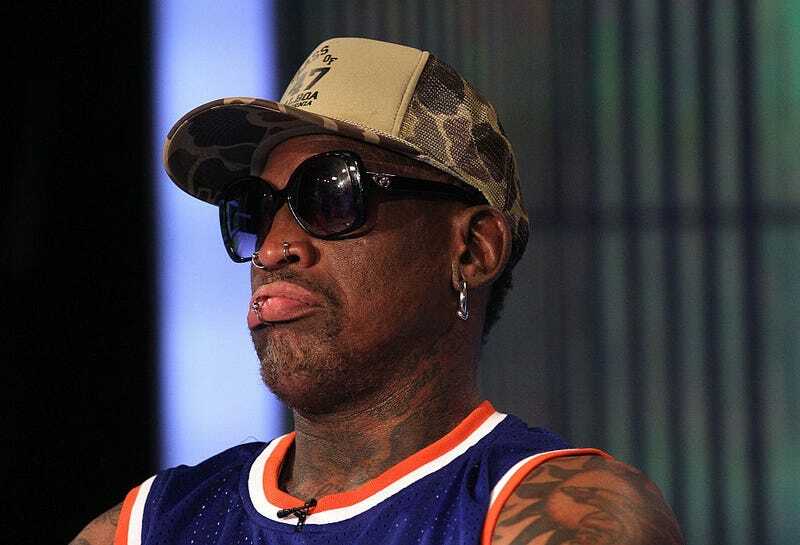 Rodman, who has reportedly battled a drinking problem for many years, reportedly has a home about an hour from the scene of the accident.